There's one single possible solution to this problem. There are 2 different solutions to this problem. There are 3 different solutions to this problem. There are 4 different solutions to this problem. There's an infinite number of possible answers. 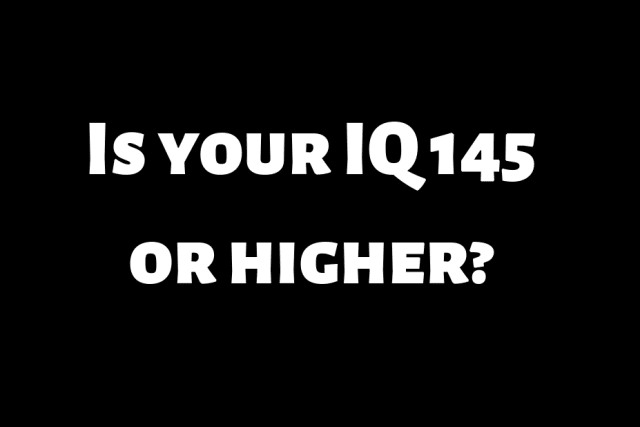 Your IQ is 145 or higher! Your comprehension of nuances is highly advanced and you're most likely a genius. Correct Answer #1: The son's age is 15 if the dad's age is 51. Correct Answer #2: The son's age is 24 if the dad's age is 42. But what about the common mistake: 33 and 33?? WRONG! because a father and a son cannot be the same age. And how about about 60 and 6? If the dad's age is 60 and the son's age is (0)6, their ages add up to 66. RIGHT or WRONG? Are there 2 or 3 answers to this IQ problem? Let us know your thoughts in the comments, and SHARE this tricky IQ problem to test everyone you know. You got it totally wrong! RIGHT or WRONG? Are there 2 or 3 answers to this IQ problem? Let us know your thoughts in the comments, and SHARE this tricky IQ problem to test everyone you know.